Recently I was invited to attend We Day in Waterloo with my friends at Telus. Unfortunately I couldn’t make it but my good friend Melanie DeLand of MBA Mama Musings was able to attend on my behalf and write all about it for us. Thanks Melanie! Every generation says it, don’t they? Muttered under one’s breath, in hushed tones. Or sometimes not so hushed. Within ear shot of the young people in question or perhaps others of a ‘better’ generation. What’s with kids these days? So lazy. So unappreciative. So uncaring. If We Day Waterloo is at all representative of the activities of the next generation, I dare say we are leaving this world in great hands. 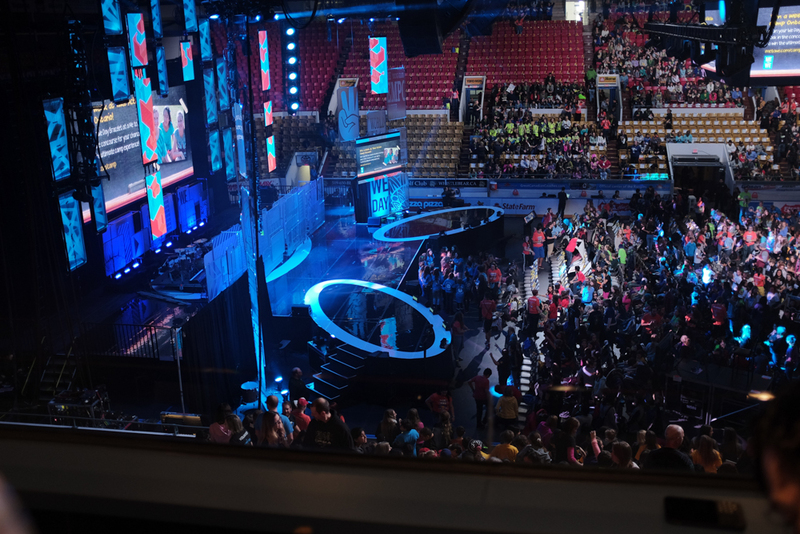 WeDay Celebrations are held all over the UK, US, and Canada, encouraging youth to participate in both local and global events to better the world around them. Recently, Kitchener-Waterloo was host to this fantastic one day event and E2 and I were privileged enough to attend, on behalf of Sober Julie and Telus. We, along with 7000 area students, braved the snowy conditions to come together and I really had absolutely no idea what to expect before we arrived. Sure, I had read all the literature and downloaded the We365 app, but still, what was the big deal? I’ll tell you what the big deal was. Thousands of young people in a single space and the energy they created from their enthusiasm. Not just the general youthful, rock-concert type excitement. But real, tangible, taste it on the tip of your tongue, feel it on your skin exuberance. The kind of feeling that comes from willingly being part of something that is bigger than yourself. The whole auditorium fairly pulsed with it. OK, enough with the gush. 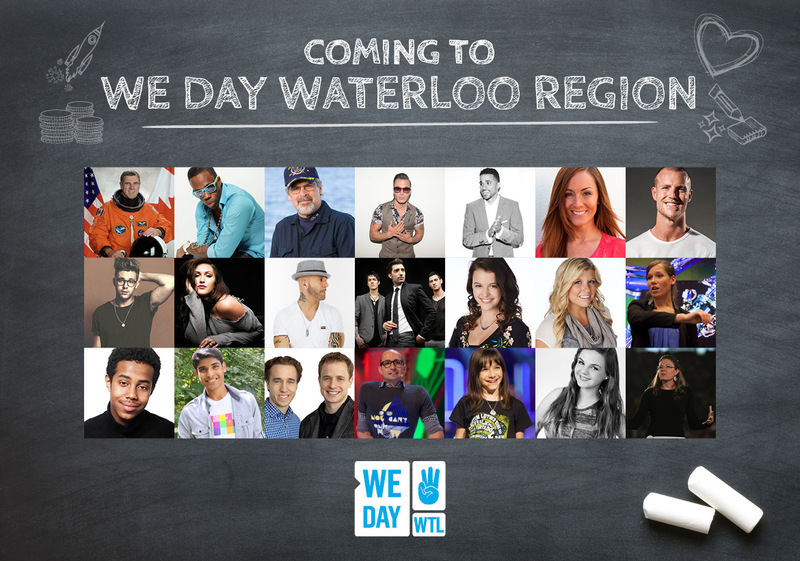 Here are some of the bare bones to help you better understand WeDay and why it is so special. Started by brothers Craig and Marc Kielburger, WeDay provides young people with a day of inspiring speakers, motivating action points, and chart topping musicians. Real life heroes like Captain Richard Phillips, astronaut Dr. Dave Williams, and survivor Amanda Lindhout. Students cannot buy a ticket to WeDay, they must earn it. Through one local and one global action, young people are eligible to be nominated to attend this inspirational one day event. To help students keep track of the impact their work is having and to encourage others to join them, the We365 app has been created. Available for Android, Apple, and BlackBerry platforms, Trough the app, students can safely gather support for their own initiatives, as well as support those of their friends. E2 and I have given it a test run and it is pretty darn cool. There are ‘campaigns’ for every day little things – smile at someone, bring in the neighbour’s Blue Box, leave someone an uplifting note. And for bigger things as well – participating in the WeScare Hunger Campaign or helping out at a local soup kitchen. Then there are the super big things, the global initiatives. Raising money to build a school in Kenya. Raising awareness about Human Trafficking. Emergency Disaster Relief funds. The lists of things that these young people feel passionate enough about to take action on makes my head fairly spin. If this We365 app is any indication of where our youth are headed, I am more than happy to let them take over the wheel. 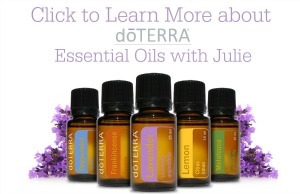 ~~ Thank you to Melanie DeLand of MBA Mama Musings for this fantastic Guest Post! I saw an article about this on the news. Looked like a lot of positive energy! This looks like a really great campaign…wonderful post and great pictures.